Built in 1650, The Swan began its life as a simple coaching inn with three bedrooms. Things are different now, of course: set at the heart of the Lake District, it needs to dispense hospitality for far more than just the occasional passing traveller. The building itself is immortalised in the text of William Wordsworth’s poem, The Waggoner (no surprise given that Dove Cottage - home of the great romantic poet - is a stone’s throw from its doors) and was also a regular haunt of Sir Walter Scott. 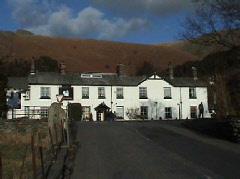 Today the hotel is set in 33 acres of grounds, with a sheltered garden, and enjoys views of nearby Helm Crag and Dunmail Raise. Indeed, it’s an ideal starting point for exploring lakes, valleys and mountain scenery on foot or by car.